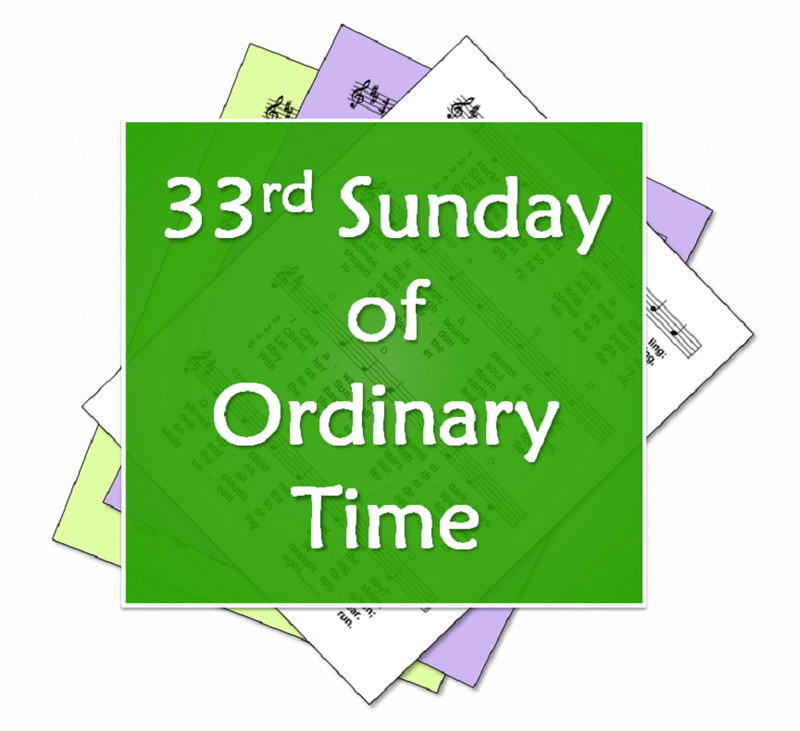 Hymns and song suggestions, based on themes from the Roman Catholic lectionary for the thirty-third Sunday of Ordinary Time, Year B. Gospel: Mark - The Son of Man will come in glory and will gather his chosen .. the fig tree shows signs ... but no one except the Father knows the day nor the hour. 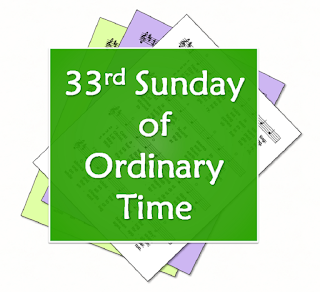 Last days, end times: being prepared, faithfulness to God. Salvation.